KOAC’s first ever FIFA Tournament took place on the 10th of September 2017, at the Dynevor Arms, Nelson. With 20 players in attendance, split in to 4 groups of 5, each game was played on 1 of 4 large projection screens ensuring that each player had plenty of game time. 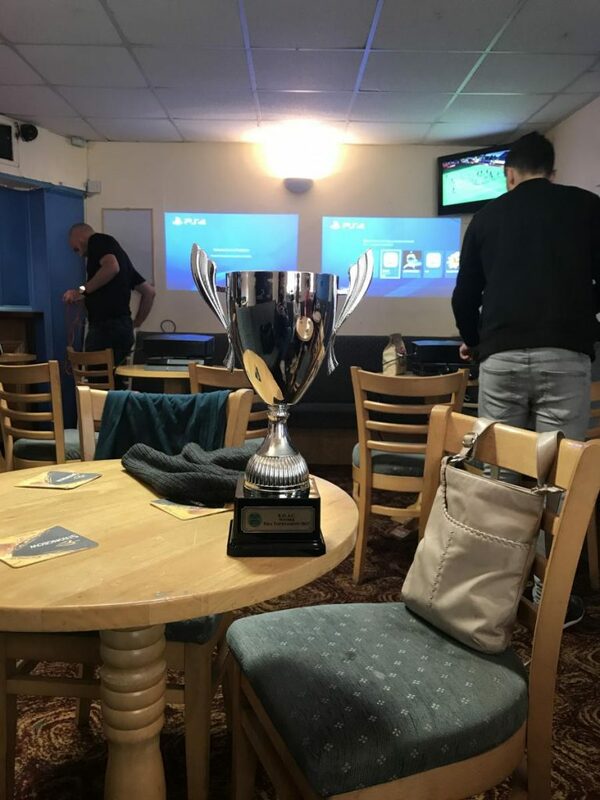 An enjoyable afternoon was completed when Ryan Donovan was crowned the KOAC FIFA Champion walking away with the trophy and £100 prize money. A big thank you to all those that attended and helped make the day a good one. We hope to see you next year when Ryan will be looking to defend his crown. You can see some pictures from the day on our gallery page.